Mallorca is the largest of the archipelago of the Balearic Islands. The language most commonly used is Spanish, followed by Catalan, and English and German. There is a large influence of foreigners, including English and German natives who have immigrated to the island. Mallorca and the rest of the Balearic Islands create one of the 17 autonomous communities of Spain. From Palma, you can take the narrow gauge railway to Sóller. The authentic wooden carriages take you through the Tramuntana mountain range and down into the citrus valley where the town of Sóller is situated. Here the train stops for you to spend the day, have lunch, and do things as you wish or choose to carry on by tram down to the port where you can explore this pretty resort set in a horseshoe bay or simply relax on the beach. It´s worth taking a trip on a Saturday, because in the morning there is a street market which sells local produce and handicrafts, for those of you wanting a more cultural experience in your time off. This is a village that is set in the Tramuntana mountain range, Valldemossa is the highest village in Mallorca. It is tougher to get there in the winter due to the snow, and in the autumn and spring months it is not as warm, due to strong winds, so be sure to be prepared before you go. This being said, it is full of cobbled streets, stone houses and amazing views. Along the narrow streets, there are plenty of shops and eateries to explore, and it is definitely worth a trip. A trip to Cabrera Island should be on the “to – do” list. A boat that leaves from Colonia San Jordi throughout the day, although getting the boat early is recommended to make the most of your day on the Island. There is much to see, in terms of the cliffs, seabirds and the lighthouse. 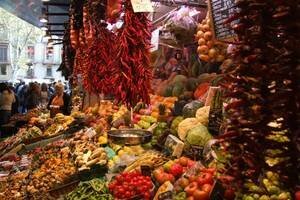 Moreover, there are also some great restaurants offering Spanish cuisine, namely paella. There are many amazing things to do on Mallorca, as well as just to sit on the countless beaches and enjoy the sun. This cathedral is situated in the heart of Palma and is gothic in style and architecture. It is the city’s major architectural landmark. Really beautiful and huge from the outside and has stunning interior features. 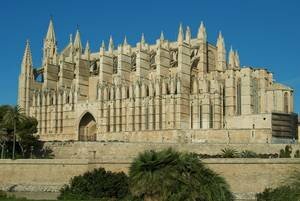 We highly recommend to see this cathedral while your internship Mallorca. 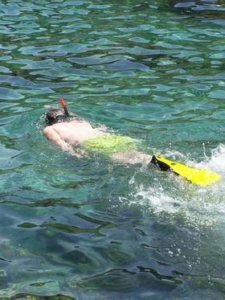 On the island you have many different activities to get involved with, from deep-sea diving, wind surfing, and jet-skiing, most of the recreational sport offered on Mallorca is water based, due to the fabulous sea facilities that you can make the most of in your spare time. Here are a number of firms that are specialized in diving courses. There are also opportunities to take a guided tour which would give you the opportunity to experience diving. Have a look online or find brochures which can tell you more about diving where you are. Mallorca is home to many great golf courses. Due to the steady temperature golf can be enjoyed all year round on the courses available. Most of the courses provide the facilities and equipment, but check on their websites or flyers before going. Throughout your internship Mallorca you have many great ways to see the beautiful island, and cycling is one of them, whether you are a novice or a pro, there are many great sights to see and all are relatively accessible by bike. It is one of the best ways to explore the island, as everything is well marked and signposted. Look online for the nearest bike hire shop close where you are. These caves are a ´must see´. It is home to one of the largest underground lakes in the world. The caves have been created with minerals immersed underwater for thousands of years; and now there are paths running through them, where water used to run. El Arenal is a short walk from Playa de Palma, and is the main area where the young people mainly go in the day and evening. It is a nice beach in the day, with many restaurants in the surrounding streets. 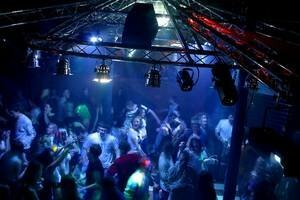 At night time, this is where the youth come to party and go to the bars, restaurants and clubs. It is very famous for its tourist party area. El Arenal is the perfect location if you want a lot of action and many things to do day and night, but if you want to have a quiet place, then this is not the best place for you. On Mallorca are many bank holidays (Fiestas). Each represents a different patron Saint, or religious holiday. But mainly for the Spanish, it is just an excuse to party. Below is a list of the main fiesta days. Be sure to check where you are for specific days for Mallorca and your specific region. On the Island is a good bus system, so getting between towns and places is pretty easy. Here are many options for hiring a car, although the different companies may have different policies about age and insurance, so be sure to check out these before hiring one. Transports from Mallorca to Barcelona, Alicante and Valencia are offered by many ferry companies. On Mallorca are many boat trips that can take you from one island to the next so it´s really accessible to island hop if you wanted for weekends. Here is a mini train on the island although it is only open throughout the summer season and part of October. People can hire bikes and use the bike trails on the island to travel and see different places. Several companies are providing tours around the whole island. While doing your hotel internship Mallorca you can find an array of many different restaurants, ranging from culturally traditional Spanish restaurants, to general eateries and fast food chains. The prices in each can range a lot, just depends on what you are looking for, but nevertheless there is enough choice for everyone. Along with many restaurant options, there are always several bar options too, including Irish pubs, taverns, and generic bars, situated across Mallorca, by the coast and in the major towns. Mallorca is not the place you are looking for?